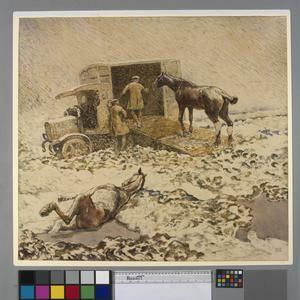 image: snow falls down on a scene with an injured horse being led into a motor ambulance. 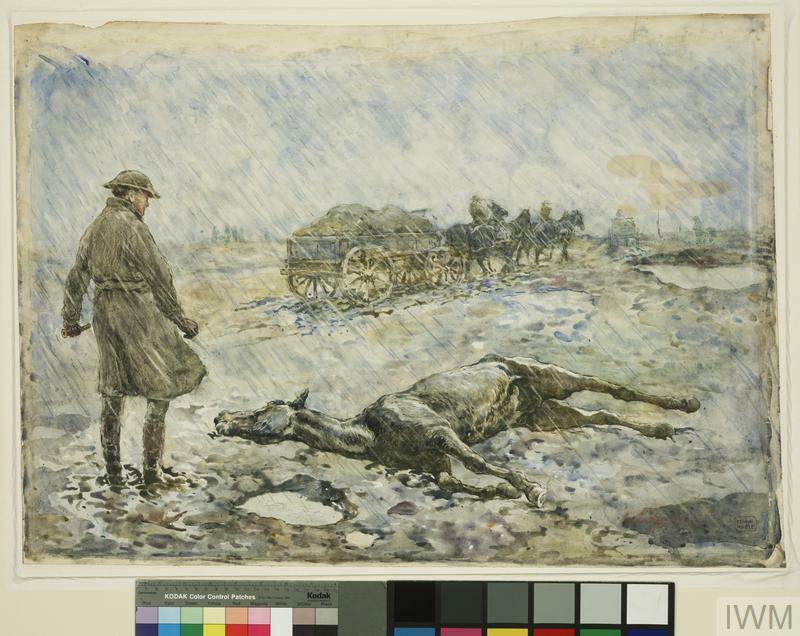 In the foreground an injured horse lies on the ground, its right hind quarters partly submerged in a flooded shell hole. The muddy ground is speckled with a light covering of snow.